We have all been distracted by the news of how colleges and businesses are increasingly viewing social media to assess their applicants. Yet the true rationale underlying this practice often gets drowned out by dramatic mistakes and negative outcomes (see the story of the Harvard 10). For those of us who have been watching closely, social media leadership has emerged as a key distinguishing factor among applicants for select college admissions, scholarship grants, internships, and employer recruitment. A robust social media presence reflecting a student’s activities, accomplishments, interests, and community and/or family service creates actionable data upon which schools and scholarship committees can make informed decisions. We need to move away from the Kaplan approach of quantifying the percentage of admissions officers who might randomly check an applicant’s social media and instead move towards the proactive approach of expressly inviting schools to view our social presence in support of our application. Similar trends are developing on the employment front. According to a recent Forbes article, 35% of employers are less likely to interview applicants they can’t find online and 44% of hiring managers found information online that led them to hire a candidate. Another report listed employers hiring a candidate based on social media profiles supporting their professional qualifications (38%), great communication skills (37%), a professional image (36%), and creativity (35%). This report and others like it show the growing importance of demonstrating social media leadership in the context of career opportunities. Confidently offering social media for inspection to colleges and employers conveys social media leadership. Comprised of 5 essential elements, social media leadership includes the concepts of: social literacy, social presence, social voice, social integrity, and social portfolio. Do you understand the fundamental social media rules of permanence, discoverability, and audience reach? Do you appreciate the vital information you are providing for public consumption with each post, comment, and interaction? Are you proficient in essential social media skills? Are you a good social media citizen? Are you easy to find online by name or do you hide behind an alias? Have you established your unique digital identity within Google? Do your user names demonstrate maturity and good judgment? Are your user names and profile photos consistent across platforms? Are you discoverable on the major social networks such as Facebook, LinkedIn, Twitter, and Instagram? Does your social media presence demonstrate a point of view, a perspective, an opinion? Do you proactively engage with and contribute to online communities? Do you support meaningful causes? Are you charitable and empathetic? Are you a leader? A team player? Are you authentic? Does your social media presence align with the skills, interests, and activities highlighted on your program application, essay, resume, and personal statement? Are your social media profiles consistent with one another and do they accurately tell your story across platforms? Are your likes, follows, and shares reflective of your own good character? What will colleges and employers be able to learn about you by examining your social media? Will they be able to assess your writing, creativity, professionalism, problem-solving, and analytical skills? Will they be able to evaluate your actual work product? Your most marketable skills? Your resilience? Your blog posts? 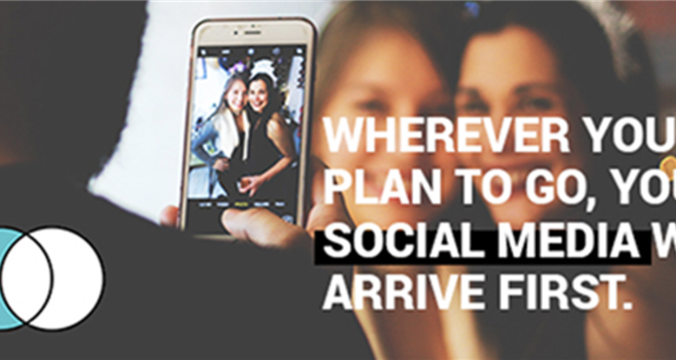 Social media provides a window into your life so universities and employers are wisely using it to recruit social media leaders to join their programs and offices. Digital leadership is a learned skill. We are proud to be offering social media educational courseware to help you social media give you a competitive edge in college and graduate school admissions, scholarships/grants, and your future career pursuits.